Schooling in a Shipping Container! In Africa, where 75% of people live in rural communities, children often have to walk great distances to school. Here’s how to overcome that one – take the school to the children! Enter the Digitruck. This pioneering pilot project from Belgium-based international not-for-profit Close the Gap, is a mobile, multifunctional IT lab on wheels that can reach even the most remote areas in Africa. 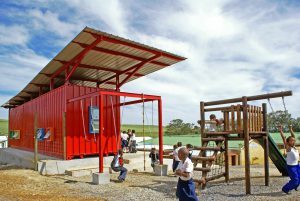 Crafted from a 40’ recycled shipping container, this exciting project was launched by Archbishop Emeritus Desmond Tutu in 2014, and has since gone to prove its value in the field, with more Digitrucks being commissioned in 2015. The Digitruck, which has workstations for 18 children, complete with laptops, a printer and WiFi internet, also has the capacity to function completely off the grid via its solar panels. For farm schools with limited resources, shipping containers are an excellent way in which to upgrade facilities and increase capacity. 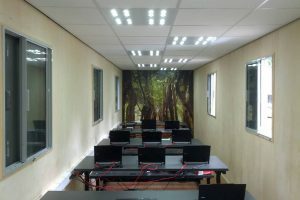 For Vissershok Primary School, in Durbanville, outside Cape Town, Tsai Design Studio used a 12m shipping container to create a multipurpose learning centre – the facility functions as an independent classroom for 25 Grade R learners in the morning, and a library for the school in the afternoons. The complex, which was co-sponsored by Woolworths, Safmarine and AfriSam, also incorporates a jungle gym and play area – giving the little learners a chance to stretch their legs – and a vertical garden, which provides the children with a learning programme and fresh produce to eat. Shipping containers may be cost-effective, but it doesn’t mean to say they can’t be used for upscale projects, as well. In Orange County, California, USA, the private Waldorf School used 32 modified shipping containers to extend their facilities, including a library, administrative offices, science labs, an art school and a two-storey speech and drama auditorium. 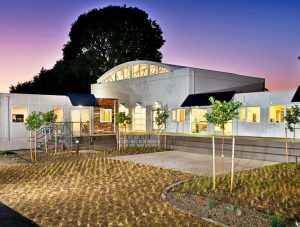 The first school in America to use recycled shipping containers for that purpose, the project – which had a budget of $2.1 million – added 929, 0304m² of educational-use space in only 99 days. In addition, the new educational complex boasts drought-tolerant landscaping – a big deal in drought-stricken California – and won a Green Design Award. 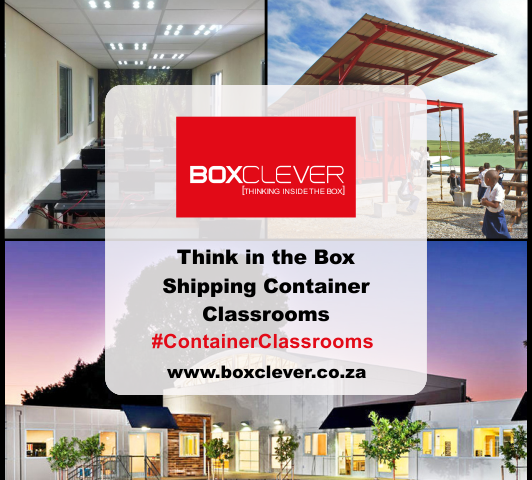 Contact BOXCLEVER to enquire about renting or buying a shipping container. Facilities need to be moved to different locations, as needed. Modified to incorporate cutting-edge architectural designs.